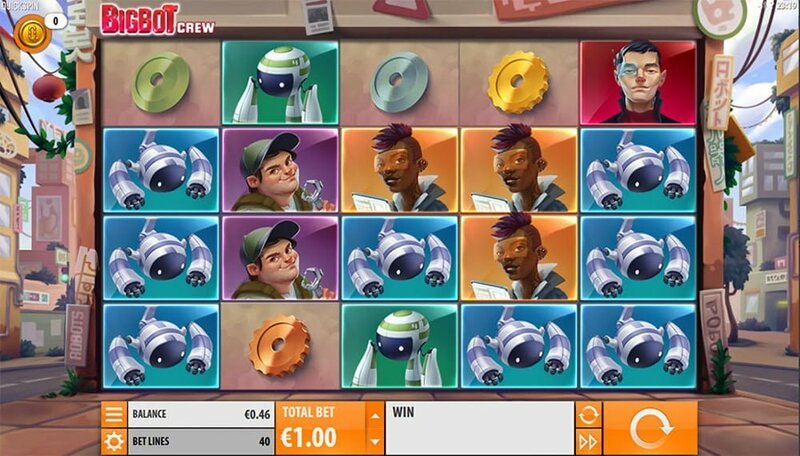 Big Bot Crew slot available to play at Quickspin casinos is a 40 payline, 4-row, 5 reel medium to high variance that pays a top cash prize (non-progressive) of 5,000x your stake on a single spin. Suffice to say it made a very good first impression. 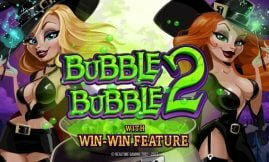 The in-play bonus rounds to look out for are the Nudging Wilds, Re-spins, Full Reel Wilds and of course the Free Spins feature that awards up to 8 free spins triggered 3 scatters. Given that the volatility is rather high up on the scale it comes with an impressive RTP (average return to player percentage) of 96.58%. 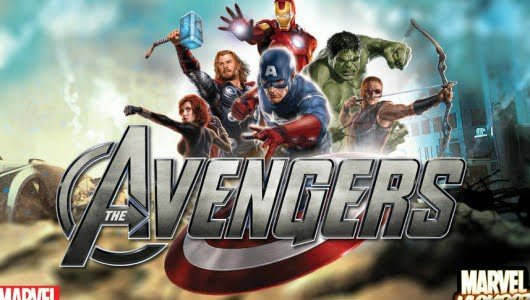 An Asian city serves as backdrop for the reels, the main symbols on them are the techies Danielle, Joaquin and Matsuo (robot builders responsible for developing the humanoid BigBot) and 2x different robots (green and purple), the game is a mixture between Big Hero 6 and Marvel’s Ironman. We’re disappointed with the top payouts given by the main symbols. For instance, if you land 5 Matsuo symbols at the top wager per spin, you’ll win £7.50 which is kinda ‘meh’ in our opinion. The smallest bet per spin £0.40 up to £100 playable on mobile devices (Androids, iOS, tablets) and PC desktops (Apple Mac and Windows). 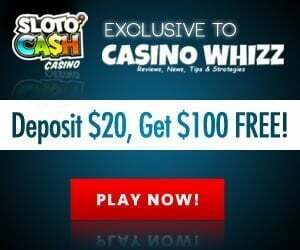 Your slots play is made easier thanks to an Auto Play function that spins the reels automatically for you will you take a quick break, different coin betting range and graphics settings. Make sure your Wi-Fi is on if you play the slots on your mobile phone. The visual side is adequate, then again we’d rather play a game with high winning potential than one with the sharpest graphics. Aside from the free spins we like it when slot games are kitted with re-spins, they just add that little something extra. During the base game Big Bot Crew comes with a fully stacked 4×1 wild that only pitches on reels 2, 3 and 4. When 2 or more BigBot wilds pop up on the reels the BigBots re-spin feature is triggered. The amount of re-spins you’ll receive are proportionate to the BigBot wild. 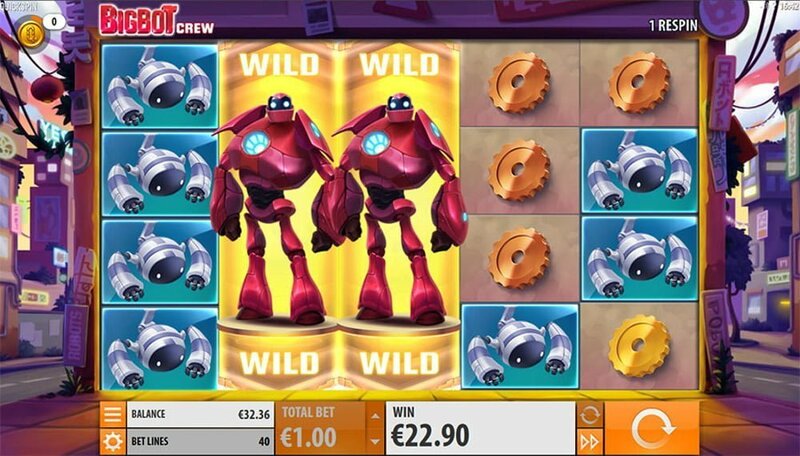 On each re-spin the BigBot wild sticks to the reels and for every extra one that appears an extra re-spin is awarded. Should the BigBot wild pop up on two or more reels, the BigBot wild or a portion of it covers the reel, basically it’s a nudge reel. 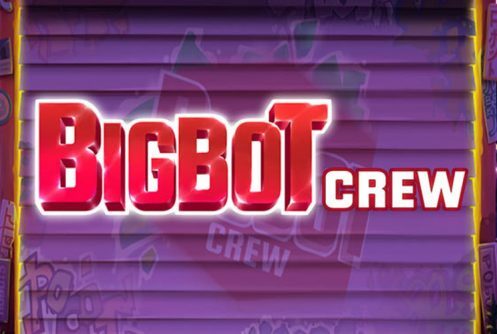 The Big Bot Crew free spins feature is triggered when 3 bonus scatters appear on reels 2, 3 and 4 – 8 free spins are awarded. 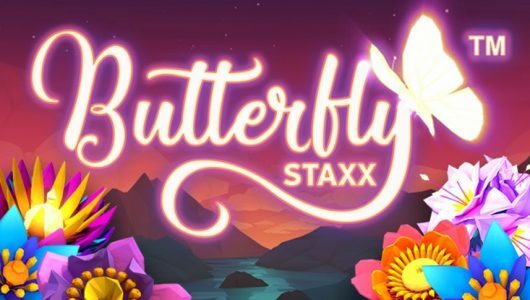 Interestingly it’s not a stand-alone free spins feature: A fully stacked wild is nudged into position and an extra free spins are doled out every time the BigBot wild appears. What we’ve noticed is that you could hit a full screen of wilds but don’t bargain on it, if you’re lucky you’ll pocket a neat 400x your stake. The total cash prize along with 5 extra free spins that can be won during the feature is a hefty 5,200x your stake. It took us around 125 spins to trigger the feature at an average stake of £1 per spin. It’s best to play Big Bot Crew with a bankroll of at least £500 because it’s enough cash in pocket to trigger any bonus feature. That said, always keep your average bet in line with your bankroll and stop playing when you scored a big win. Initially we weren’t fans of the Quickspin slots because of a slew of low value releases. However, we’re impressed with the developer’s Big Bot Crew, unlike the previous ones it doesn’t run out of steam after 400 to 500 spins. 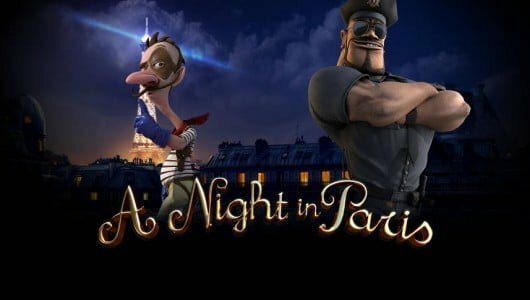 Furthermore, it spiced up its game mechanic with a decadent wild feature, re-spins and an improved free spins bonus. Being the high variance beast that it is the bonus rounds are hard to come by but we’ll worth it in the end, especially if you can conjure up a win of 5,200x your stake on a single free spin. It’s a well-balanced game that offers loads of entertainment both during the base game and bonus rounds. Will we stick a pin in it? Absolutely. If you enjoyed the game we also recommend Volcanic Riches from the same developer with similar in-play bonus features.